We do not have set designs - tell us what you want and your budget and we will make it work. 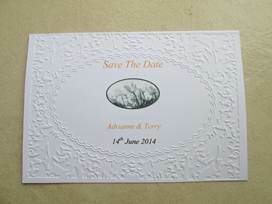 Embossed designs available. Take a look at our Stationary Packages.